This 100 Series system is ideal for stage productions and presentations. The unobtrusive ME 4 clip-on microphone is virtually invisible and has excellent feedback rejection. 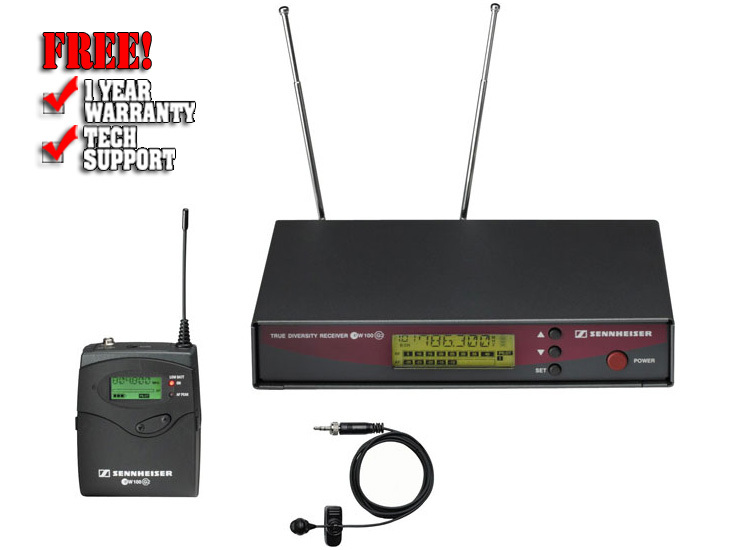 The extremely small SK 100 G2 bodypack transmitter as well as the EM 100 rack-mount receiver feature 9 frequency banks with 4 frequency presets each for direct channel selection and are ready for immediate use.